But obviously that’s a pretty darn bold claim so what’s the truth about this thing? Is it legit & can you really make money with it like Mr Jordan Mathews claims you can or is the Affiliate Cash Club a scam that’ll just end up parting you with your hard earned cash? What Exactly Is The Affiliate Cash Club System? Jordan Mathews the system’s creator claims that all you need to do is sign up, follow his step-by-step instructions & then put in about 10 minutes work per day in order to earn around $120,000 each month. He claims that you’ll be able to make so much money so quickly & easily because you’ll allegedly be leveraging other peoples hard work rather than doing the hard work yourself – but he also claims that his method is totally legal. However what I can tell you right from the off is that everything you’re told via the Affiliate Cash Club website is BS – and instead of being set out to help you like it claims it is, the Affiliate Cash Club website is just set out to trick you instead so that its creator can just earn some cash at your expense. How do I know that? Simple – I’ve been doing affiliate marketing myself for several years now & whilst I have been making good money from it (and would recommend it to anyone) I know that there are NO shortcuts. But in the same breath it still takes work & time. There is NO system or program – and never will be a system or program that generates you so much money so quickly & easily… And come on, if there was then do you really think the creator would be charging just $37 to access it like Jordan is? I don’t think so! The reason he’s priced it at $37 is because he’s basically just hoping you’ll pay to “try it out” – then you’ll discover it doesn’t really work as promised but by that point it doesn’t matter because he’s already made some cash at your expense. How Does The Affiliate Cash Club Work? Well as the name suggests (and like I mentioned above) the whole concept of the Affiliate Cash Club is based around affiliate marketing – which is where you promote 3rd party products online in return for commissions. And as I also mentioned a little earlier in this review affiliate marketing (if done properly) is actually a great way to make good money online – and there are many free places like Wealthy Affiliate where you can get started with it. But the problem with the Affiliate Cash Club system is that it simply hasn’t really been built to help you like it claims it has. Instead the creator who’s put it together is just trying to trick you into thinking that you’ll be getting access to some sort of easy method for making lots of money really quickly from affiliate marketing, but the method doesn’t actually exist. Sadly though you’d only be left to discover that the hard way after handing over your hard earned cash… And that’s exactly what the creator of the whole thing is hoping you’ll do (which is why he’s priced it at just $37). He’s hoping that you’ll just “try it out” to see if it actually works & then he’ll cash in at your expense. I actually just reviewed another program named the AZ Millionaire Method which works in the exact same way too… These things are best avoided. But the scam doesn’t stop at the $37 – oh no, because if you actually pay the money to get in (which I certainly don’t recommend) you’ll then find yourself hit with several upsells on the inside, each costing hundreds of dollars. And even if you spend more money & purchase all of the upsells you’ll still find yourself no further forward… The training provided through the Affiliate Cash Club is just way too poor quality to actually help you get started. However what I can tell you is that those are NOT affiliate commissions at all. Those are commissions from the sales of his own products through ClickBank, like the Affiliate Cash Club for example (which he is selling through ClickBank). I appreciate it’s pretty hard to see from the image above without zooming in, but basically the table shows that out of around $60,000 worth of sales the creator has had around $22,000 in refunds & $2,000 in chargebacks! So if his program worked as promised then why are so many people wanting their money back – and wanting their money back so badly that they’re actually going via to their bank to process a chargeback? I think this quite clearly shows that the whole thing doesn’t really work as promised – just like I have stated myself throughout this review. Oh, And Jordan Mathews Is a Fake! For personal reasons, the creator writes under the pen name Jordan Mathews. 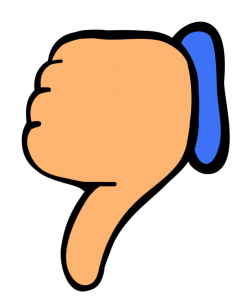 My Verdict – Is The Affiliate Cash Club a Scam? 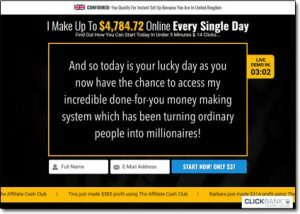 There’s no doubt about it – in my opinion the Affiliate Cash Club is most certainly a scam as it misleads you into purchasing something, pushes you into spending more money & then fails to deliver on any of its promises. I mean sure, like I said earlier in this review you do actually get provided with “some” affiliate marketing training via the Affiliate Cash Club website, but it is very poor quality & it is going to be very unlikely to actually help you to find success. Regardless though it doesn’t matter as to whether it provides any training or not, because training is not what you were promised – you were promised an easy way to make $4,000+ per day with just 10 minutes work and that promise does NOT get delivered on at all. So with all that being said it’s safe to say that I won’t be recommending the Affiliate Cash Club system to you & instead I’ll be advising that you steer clear of it because as far as I’m concerned it’s nothing but bad news & will just result in you losing money. 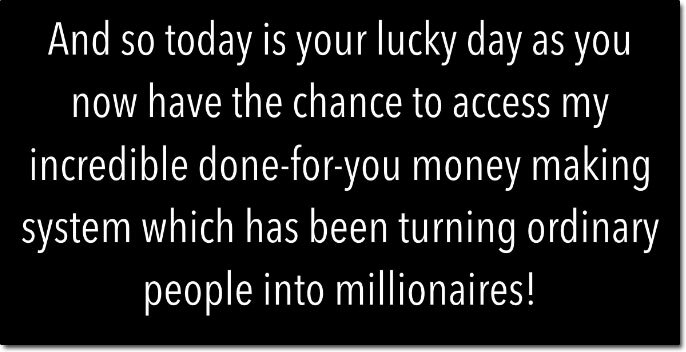 If you truly want to find success with affiliate marketing then be sure to check out Wealthy Affiliate instead as it’s there that you’ll get all of the proper training & tools you need – plus you can even start there for free, with no payment whatsoever. On top of that though there’s also a whole bunch of other ways you can make money online too. Is Multi Level Marketing a Scam or An Illegal Pyramid Scheme? Let’s Find Out!